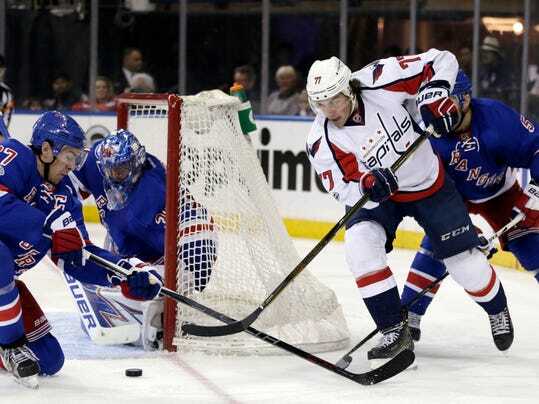 WASHINGTON (AP) — Forward T.J. Oshie and defensemen Matt Niskanen and Brooks Orpik missed the Washington Capitals’ game against the Edmonton Oilers Friday night because of injuries. Coach Barry Trotz had called Niskanen and Orpik questionable with lower-body injuries. Trotz also alluded to a forward being banged up, with that being Oshie missing his 10th game of the season for an upper-body injury. On Tennis: In Tennis, the Backward Cap Makes No Sense. Nevertheless, It Persists.